The mob boss had been at the federal jail in Brooklyn longer than any other inmate: four years awaiting trial and, after his conviction in 2012 on racketeering charges, nearly two more waiting to be sentenced. By the time his sentencing date arrived on Wednesday, the mobster, Thomas Gioeli, had been considered for the death penalty, convicted of conspiring to murder three mobsters and acquitted of killing a police officer; he had multiple angioplasties and, with the help of his family, even became an avid blogger and user of Twitter who taunted prosecutors and two mayors. 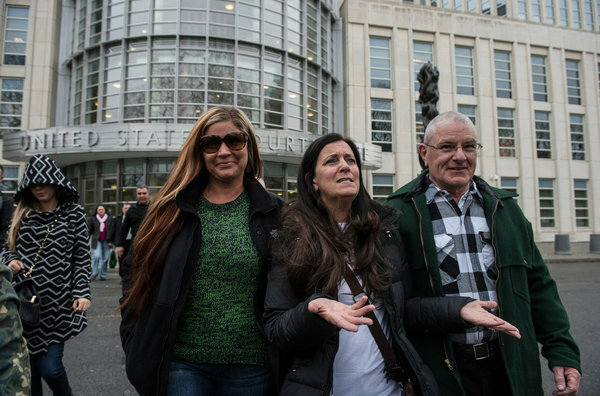 The measure of those six years behind bars for Mr. Gioeli — highly unusual for someone who has not yet been sentenced — were central to arguments in Federal District Court in Brooklyn on Wednesday over how much prison time Mr. Gioeli should get: the maximum 20 years, or something less. The maximum of 20 years that Thomas Gioeli could have received was reduced by 16 months. The judge, Brian M. Cogan, said that with a 20-year sentence, credit for time served and good behavior, Mr. Gioeli would be out by his early 70s. “He’s not going to live to his early 70s?” Judge Cogan asked. “I don’t think so,” Mr. Perlmutter answered. As the argument unfolded, Mr. Gioeli, who since his conviction last year grew a giant tuft of white hair on his chin, leaned back in his chair, twisting his white mustache, waving warmly and making baby faces at his family in the courtroom. It was odd behavior that would have been more at home at a child’s birthday party than at a sentencing for gangland murders. Judge Cogan knocked 16 months off the 20-year maximum and ordered Mr. Gioeli to pay $360,000 in restitution. At the murder and racketeering trial, prosecutors said Mr. Gioeli, whom they called the former acting boss of the Colombo family, ordered the ambush and murder of an off-duty police officer, Ralph C. Dols, and ordered the killings of several other men in the 1990s. Prosecutors called admitted mob killers to testify against Mr. Gioeli (they described surprise shootings in basements, dissolving dead bodies with lye and burying them on Long Island), but the jury acquitted Mr. Gioeli of many charges, including the murder of Officer Dols. 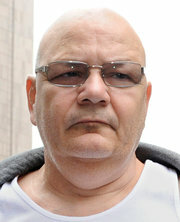 He was found guilty of one count of racketeering for conspiring to kill three mobsters. Mr. Gioeli’s wife, Maureen, second from right, leaving court after his sentencing Wednesday. The acts that the prosecutors described hardly meshed with Mr. Perlmutter’s portrayal of Mr. Gioeli as a family man, or “Tommy, the person,” as he called him in a long argument that roused sniffles among two or three dozen family members who showed up. “I look at their marriage and I’m jealous,” Mr. Perlmutter said of Mr. Gioeli’s relationship with his wife. It was an image that Mr. Gioeli also put forth on his blog during his years in jail, that of a family man who was wronged by zealous prosecutors. His Twitter messages and blog posts, which family members posted after he wrote them using his prison email account, espoused a liberal vision of society, coming to the defense of the working poor, speaking out against sexism, when he was not opining on current events. Last month, Mr. Gioeli wrote on Twitter, “The FBI arrests old Italians for decades old robberies while allowing bankers to steal billions everyday. TSG #FBI #America #wallstreet,” signing his initials, T.S.G.